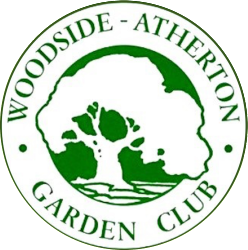 Founded in 1929, Woodside-Atherton Garden Club is a charitable nonprofit organization dedicated to stimulating and sharing knowledge about conservation, horticulture, flower arranging and photography. In 1934, WAGC joined the Garden Club of America, now numbering 200 member clubs in 40 states. Funds raised by our biennial plant sale help maintain the California Native Plant Garden at the Woodside Library. We also provide financial and hands-on support to other civic projects in the community at sites such as the Palo Alto Baylands marsh and local elementary school gardens.